Red lentils are the mildest in flavour, compared to green and brown lentils. They are excellent to have in both hot and cold dishes, and are a good source of cholesterol-lowering fibre. Not only do lentils help lower cholesterol, they also help to stabilize blood sugar. They have a high fibre content which prevents blood sugar levels from rising rapidly after a meal. In adding to providing complex carbohydrates, lentils can increase energy levels by replenishing iron stores. Iron deficiency is common for women and it is important to maintain sufficient iron levels and avoid deficiencies. They are also a good source of folate, protein, phosporus and potassium. Cook the garlic in olive oil for about a minute then add the seeds. Continue stirring for another few minutes then add the onion. 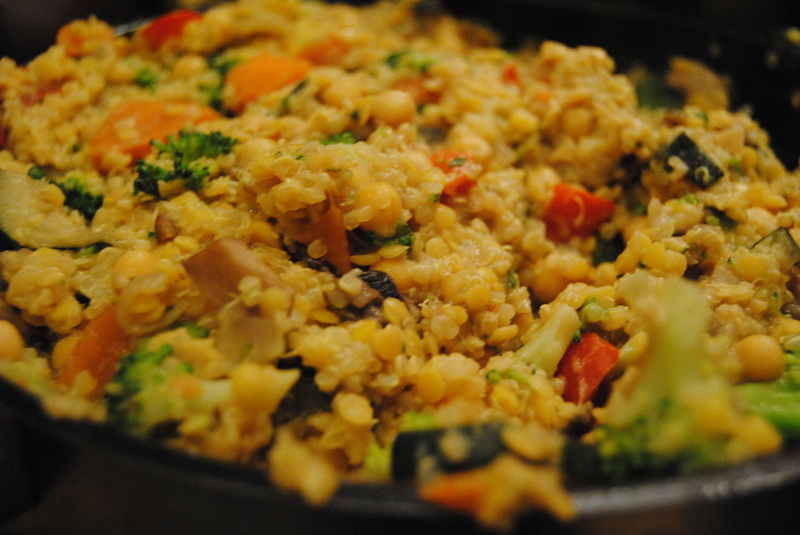 After a couple minutes, add the remaining vegetables and cook until desired consistency. 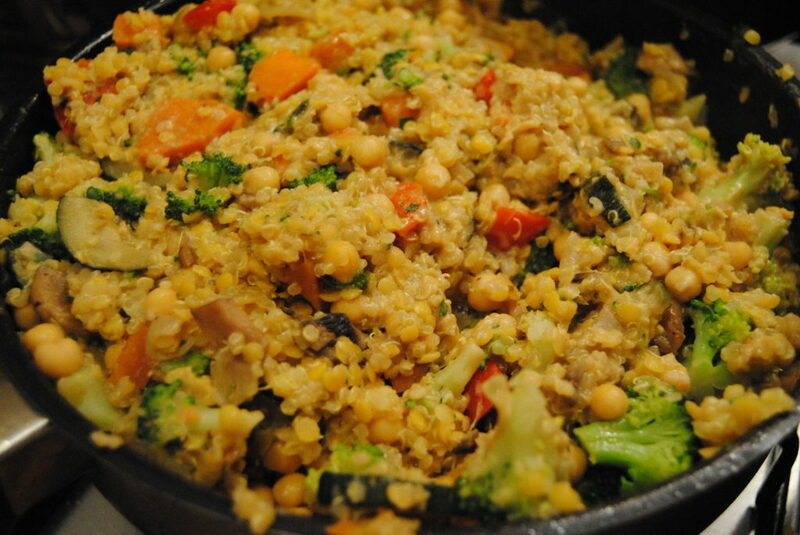 Add the chickpeas, quinoa and red lentils. Blend everything together, top with sea salt and cracked pepper. Enjoy!